This Just Feels Different…Mr. Brown - Valuentum Securities Inc.
We think the correction is coming. Here are 7 reasons why we plan to reduce exposure to cyclicals and add some protection to the portfolios. I hope you don’t mind my using baseball analogies. Baseball and investing are perhaps the only two endeavors where if you get more than half right, you’re at the top of the list. In any case, you don’t have to be a big baseball fan to appreciate the similarities. I used an example with Ted Williams in this piece about fat pitch investing, but there’s another analogy that is worth sharing. I’ve been to the Louisville Slugger Museum and Factory Tour a few times in the past couple years. My little boy just can’t get enough of the place, and frankly I still enjoy swinging the bat. (Here’s some useless trivia about me: I hit 26 homeruns in D-III college ball, second all-time in a school with ~100 years of history. But those were the glory days and 50+ pounds ago.) We’re based out of the Northwest suburbs of Illinois, so it is quite the drive to Louisville for the little guy. I’ve found that there are many things to like in Kentucky, but that’s neither here nor there. Ted Williams was fussy about his Louisville Slugger bats. He once complained about the way the handle tapered on his favorite bat. He sent them back, saying their grips didn't feel right. They weren't. Hillerich & Bradsby (H&B) staff members measured the grip with calibrators against the models he had been using. They discovered that Williams' new bats were 5/1000ths of an inch off. Williams also could tell differences in the weight of his bats. J.A. Hillerich, Jr., a late president of the company, once tested Williams. He gave him six bats, five weighing exactly the same, the sixth weighing one-half ounce more. Williams picked out the one with the minute difference. Every spring during his playing years, Williams would visit the Louisville Slugger plant. He would hardly break stride saying hello to executives in the office, but once with "his boys" in the factory, he called them by name and greeted them as old friends. Williams would soon be out of his coat and on a ladder, hand-picking timber for his bats. He spent time with each employee, as if to refresh them on how he wanted his bats made each year. In October of 1993, Williams wrote to H&B vice president Bill Williams, "I'd have been a .290 hitter without a Louisville Slugger." The Hall of Famer ended his career with a .344 batting average, including a .406 mark in 1941. Though our process is fundamentally sound—some members haven’t lost a penny on any of our portfolio holdings—just like Mr. Williams' baseball fundamentals, “The Greatest Hitter That Ever Lived” had to have his bats feel just right. He not only had to have his right pitch (we covered that earlier), but if he wasn’t swinging a perfect bat, it was simply unacceptable. The point that I’m trying to make here is that feel is just important in baseball as it is in investing. Josh Brown of the Reformed Broker, of CNBC fame, a Twitter superstar, and a well-respected thought-leader brought up some interesting examples about perspective today. I tune into Josh’s Twitter feed because he is well versed in the markets and is absolutely hilarious at times. I wish I could make people laugh like he can. He may be one of the most talented thinkers in the markets today. Though Josh makes a good point in a recent post about how the market isn’t performing anything like the doldrums of the Financial Crisis of years past, we’re still staring down a variety of concerns that are simply difficult to dismiss. Like Ted Williams would say, it just doesn’t feel right. Here are 7 reasons why we’re reducing exposure to cyclicals and adding protection to the portfolios tomorrow. 1) China (FXI). There are growing concerns about slowing growth in the country. Not only is there a crackdown on corruption that could come to bite luxury—Richemont (CFRUY), Tiffany (TIF)--and gaming entities—Las Vegas Sands (LVS), Wynn Resorts (WYNN)--but the most important barometer of strength in the country continues to wane: Iron ore prices have fallen to a five-year low this month. Rio Tinto (RIO) and BHP (BHP) have not ignored this, and have scaled back capital spending significantly. This, of course, has implications on the construction firms from Caterpillar (CAT) to Joy Global (JOY) and others. On the retail front, Yum! Brands (YUM) and McDonalds (MCD) continue to face challenges with food scandals in China, and KFC, the greatest restaurant growth story in the region, just can’t seem to get things back on track, which could hurt unit growth. The country’s industrial performance is down, too, and reversed some pretty hefty double-digit expansion in July. China’s GDP growth rate should remain robust—greater than 7%--but in the game of expectations, even a 7% mark could be considered disappointing. Pimco thinks 6.5% is the new norm. The IMF says 6.5%-7% is about right. I’m not sure that the global markets are resilient enough to handle a meltdown of China real estate, especially at current valuations. 2) South America. The Brazilian real is under serious pressure, Argentina has defaulted, and Ford’s (F) recent analyst day revealed weakness in the region as a result of such currency issues. To me, it looks like the near-term in South America may be a bit ominous. I hardly think we can expect upside from the region. The sell-off in stocks from Petrobras (PBR) to Vale (VALE) was apparent in today’s trading. 3) Russia. With US and EU sanctions placed on the country, we hardly believe that strength from Russia will materialize in coming periods. If anything, there is more downside risk to Russia than upside. Geopolitical uncertainty is certainly not good for equities. Just ask Seadrill (SDRL) investors, who have been punished quite severely as of late. 4) United States. The strength of the dollar against emerging currencies is notable. I like to pay particular close attention to the USD/ZAR, and it appears (and I apologize for the technical term), the Rand is about to breakout relative to the dollar. This means that foreign goods may be cheaper on a USD basis, but it also suggests that investment is flowing out of South Africa (EZA) and other emerging nations to safer alternatives. And that, to me, is more concerning than the self-correcting mechanism of reducing the price of foreign goods in USD terms. 5) Valuations. We’ve stated this time and time again, but we believe we’ve overshot intrinsic value as it relates to the broader S&P 500. On a forward-looking basis, the PE is above both the 5-year and 10-year averages, and it’s difficult to make the argument that the broader equity markets are cheap. According to FactSet (data September 26), the forward PE is 15.2 relative to the 5-year and 10-year averages of 13.5 and 14.1. On a trailing basis, the comparisons are uglier. Why put new money in just in time for a correction? Remember—we haven’t had a correction in nearly 3 years. The technicians can’t wait for one! 6) We’ve hit 2,000 on the S&P 500, and the prognosticators have been proven correct. There is nothing more to prove, and risk-taking could now be taking a back seat to capital preservation. Roughly 80% of large cap money managers are trailing the S&P 500 thus far this year, and we believe that most are hoping (praying?) for a correction/fall? Obviously, they have their jobs to worry about. If nobody is rooting for the market to go higher, what is going to drive it higher? The Fed? 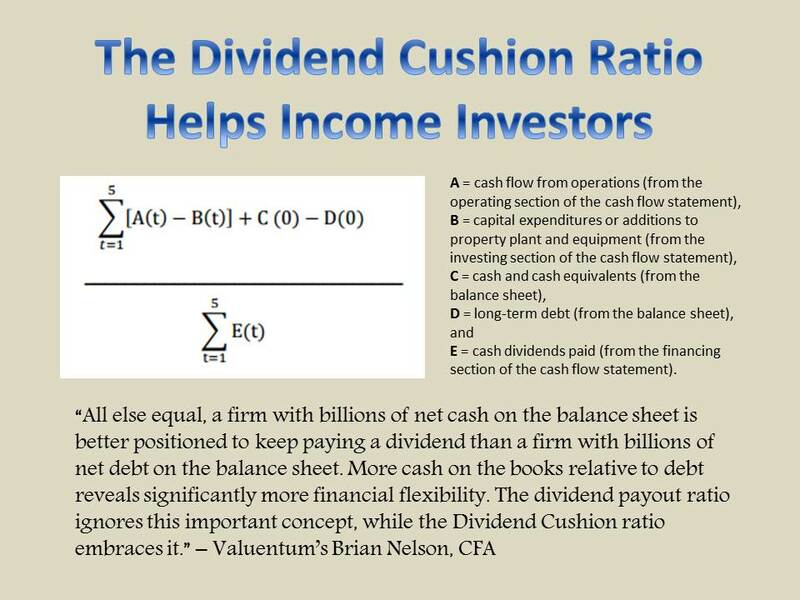 7) Dividend growth. Certain dividend growth stocks are trading like those of the Nifty Fifty. According to FactSet, the dividend-heavy S&P Consumer Staples Sector (XLP) is trading at a whopping 17.6 times forward earnings, relative to its 5-year and 10-year averages of 15.4 and 16.8. Consumer staples entities include Procter & Gamble (PG), Coca-Cola (KO), Philip Morris Intl (PM), Walmart (WMT), and CVS Caremark (CVS), for example. We wrote about the risks of this valuation anomaly here. The group at 17+ times forward earnings is expensive, and we attribute this to the retail investors’ insatiable thirst for yield and dividend growth. We do think it is being driven mostly by retail and advisors chasing dividend growth at any price. 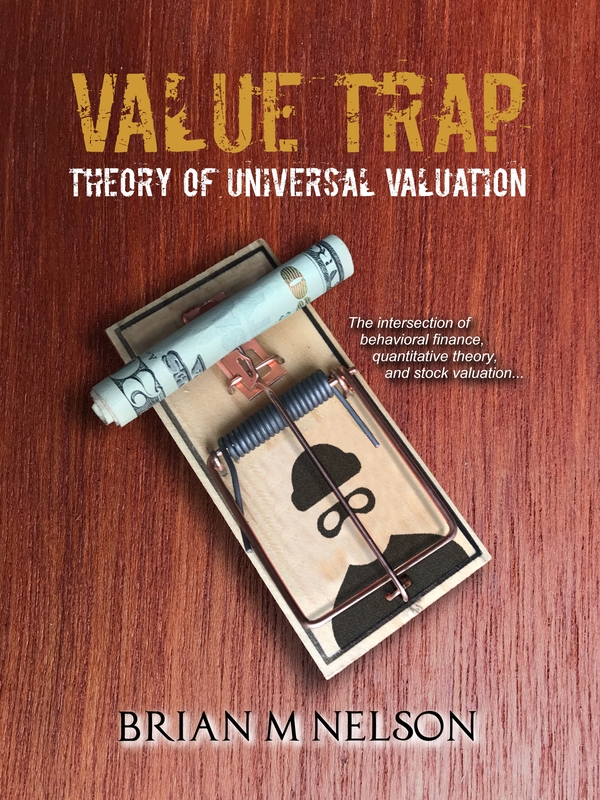 The valuation anomaly isn’t more apparent than within a discounted cash-flow model, where ultra-low discount rates and hefty cash flow growth rates have to be applied to get anywhere near present prices. All in, we’re trimming cyclicals exposure in both portfolios, and we’re adding protection. Members should expect an email transaction alert tomorrow.